Dubai the second largest emirate of UAE that has made huge investments in travel and tourism sector in order reduce its dependency from oil export for earning revenues. After observing significant increase in number of people visiting Dubai every year, several Dubai property projects like resorts, hotels and short term rental accommodation projects have been constructed to execute accommodation needs of travelers and tourists. The Emirate is world renowned for its super luxury hotels and their finest accommodation, food and luxury extras like pools, spas, fitness gym and sporting amenities. Dubai hotels also provide complete business center facilities for entrepreneurs who have come for the business trip. Despite these hotels are often expensive, visitors who don’t have budget constraints love to book the one for their trip. throughout this text, we will provide you with a special guide to visit Dubai, which is known worldwide for its luxury lifestyle. From al fresco eateries to magnificent beach side venues, these restaurants are ideal places to bring your special someone. Dine with your special someone out on magnificent wooden pier out on the Arabian sea. This intimate dining spot features an enticing menu covering all the seafood classics including dishes such as organic salmon with parsnip purée, crab risotto and freshly shucked oysters and black tiger prawns. Dessert is also riveting and boasts such delicacies toffee banana pudding with peanut ice cream as well as a wonderful after-drinks menu. Make sure you book ahead of time as it does get crowded. 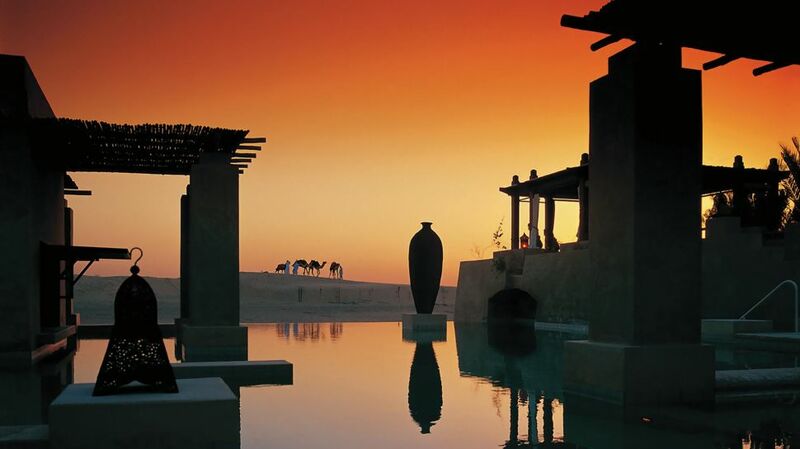 Romantic, subdued and otherworldly, this is one of the most romantic places to dine in all of Dubai. The extravagant ambiance of 101 at One & Only at The Palm Jumeirah boasts one of the most romantic venues in town. The venue is situated on a dedicated quay so that diners can enjoy a tranquil ambiance and views of a stunning waterfront. Decidedly modern and contemporary in decor, the restaurant boasts a delicious selection of largely European specialties with focus on Spanish fare. Private and peaceful, 101 is a top choice for a Valentine’s Day dinner. Feast your eyes on fireworks this Valentine’s Day on the beachfront of the The Habtoor Grand Beach Resort & Spa. Upon arrival you’ll be greeted by your own personal butler who will accompany you to a private table along the beachfront. Once there, you and your guest will enjoy a sumptuous six-course meal with one course cooked in front of you by one of the chefs. You and your guest will also receive a glass Moët as well as a red rose and a chocolate fresly made in the hotel’s pastry kitchem and inscribed with a personalized message. The package starts from 10pm onwards and is priced at 999 AED per couple. A romantic four-course set meal in the desert served in a private tent with candles and torches serves as the perfect romantic getaway. If you’re heading there on Valentine’s Day, make sure you and your special someone enjoy a couples treatment at the Sartori Spa. The desert landscape and authentic ambiance of this Arabian resort is one of the UAE’s top spots for a relaxing and rejuvenating getaway. You can’t get more romantic than dining on the beach. 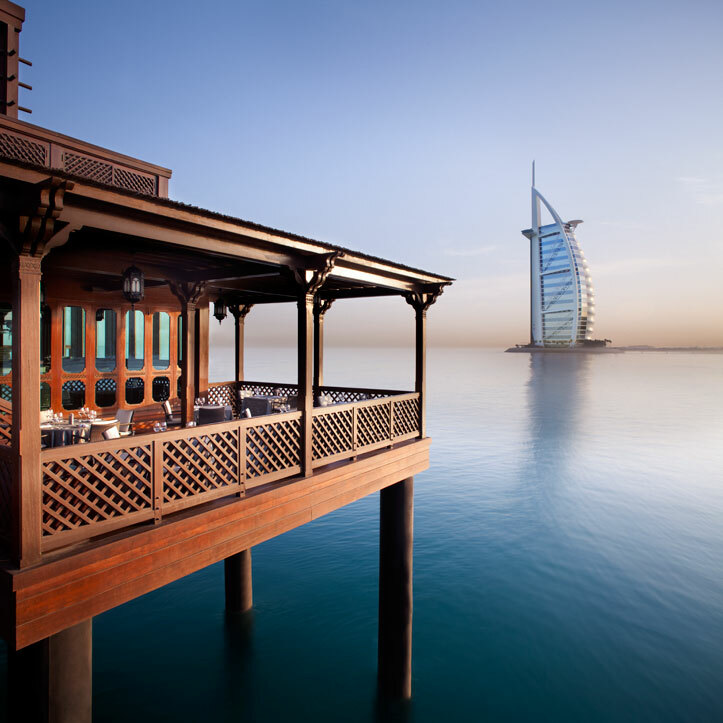 The Burj Al Arab’s extravagant eatery, Majlis Al Bahar, is set up at the hotel’s stunning beach club. Choose to dine directly on the sand and delight in mesmerizing views of the Arabian sea. Get there on a golf buggy – a ride that adds to the experience. The menu offers international specialties such as typical appetizers including marinated burrata and Greek salad as well as tapas, pizzas and platters. Among the eatery’s more creative specialties is the chocolate pizza for dessert. 1. 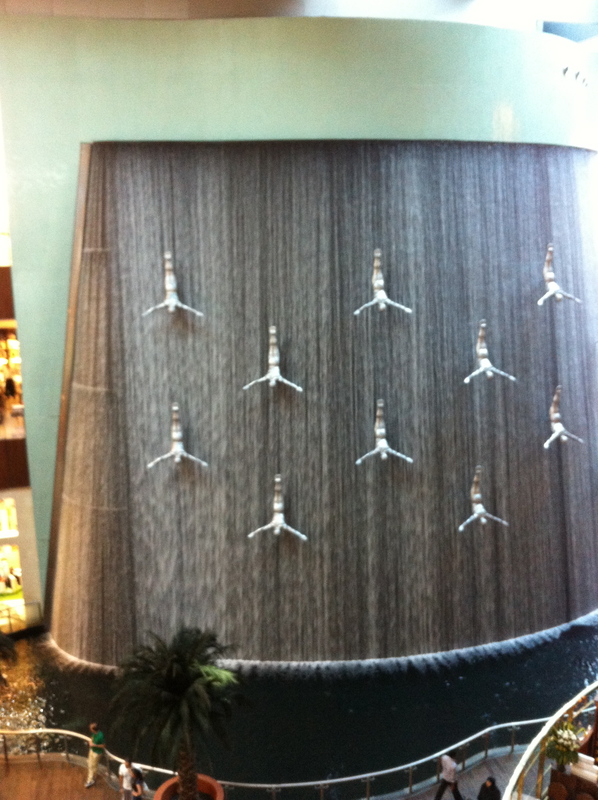 The Dubai Mall – The Dubai Mall is the world’s largest mall based on its total area and my feet can vouch for it :). 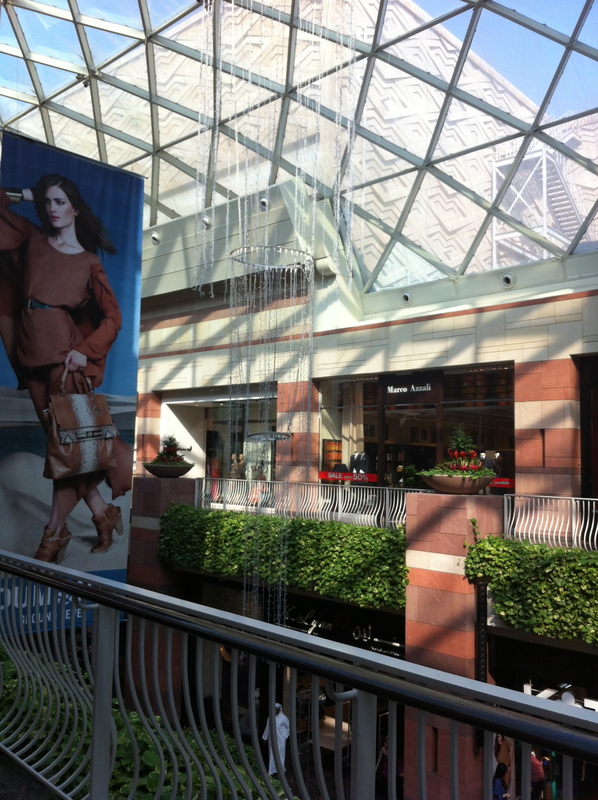 For shopping this mall has the latest designs for every brand possible under the sun and a full section of the high-end brands (including an Armani Café). We walked in this mall for nearly 3 full days, but I am sure that we still haven’t seen it completely. 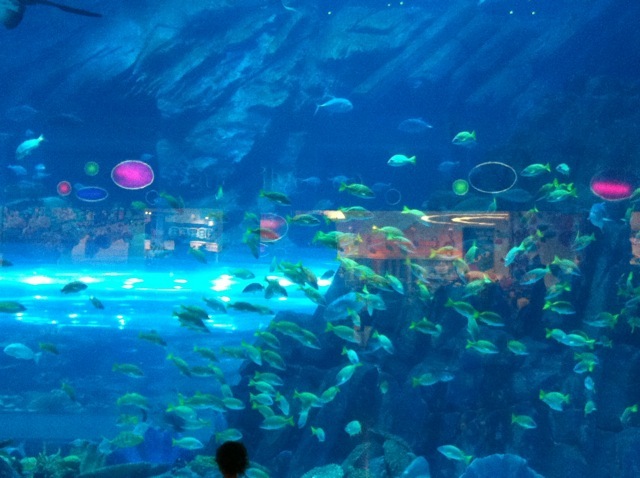 And apart from all the shopping this mall also has the following attractions – numerous restaurants and cafes, Dubai Aquarium and the Underwater Zoo, an Ice Rink, an indoor theme park, Dubai Fountains, Reel Cinemas, Kidzania and a small souk. I also loved 2 of their exhibits – one a fountain with people jumping in it and another of the numerous paper butterflies over the Armani café. For the chocolate and candy lovers, there is a huge Hersheys Chocolate World that has every Hersheys product (including memorabilia possible) and a Candylicious that sold every kind of candy possible (I am sure they had every flavor possible). 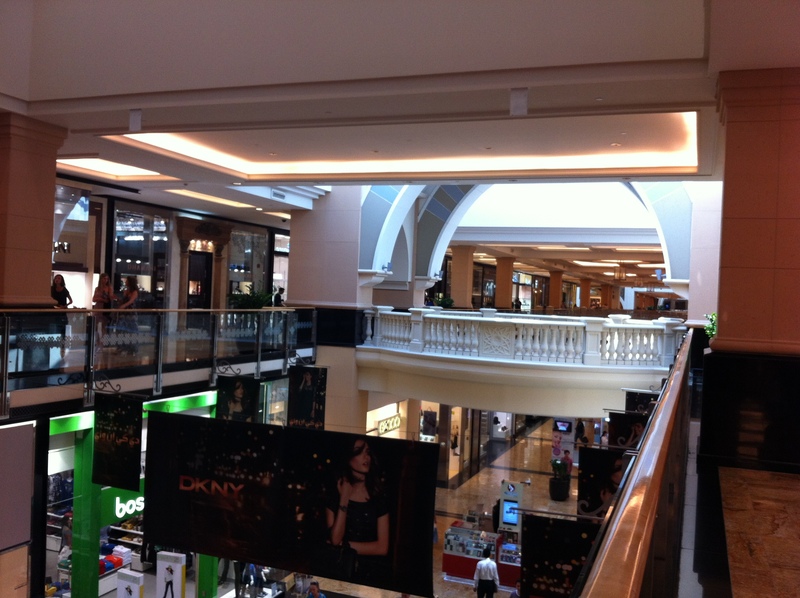 The opulence of this mall gets everyone to believe that even they are seriously rich :). We simply loved this mall (could have lived here forever) and spent many hours shopping (in the affordable sections) or generally walking around it. At the end of each day that we have spent here, we had aching feet and felt that someone should just airlift and drop us home 🙂 On one of the days we exited from the Armani Cafe exit and sat at the sidewalks to just observe all the high end cars that came here at the end of the day, and we were not dissapointed. We practically saw every expensive car there is to see here. How to reach – You can take a direct cab to the mall or take a metro to the Burj Khalifa Metro Station and then take a shuttle bus or cab to the Mall. 2. 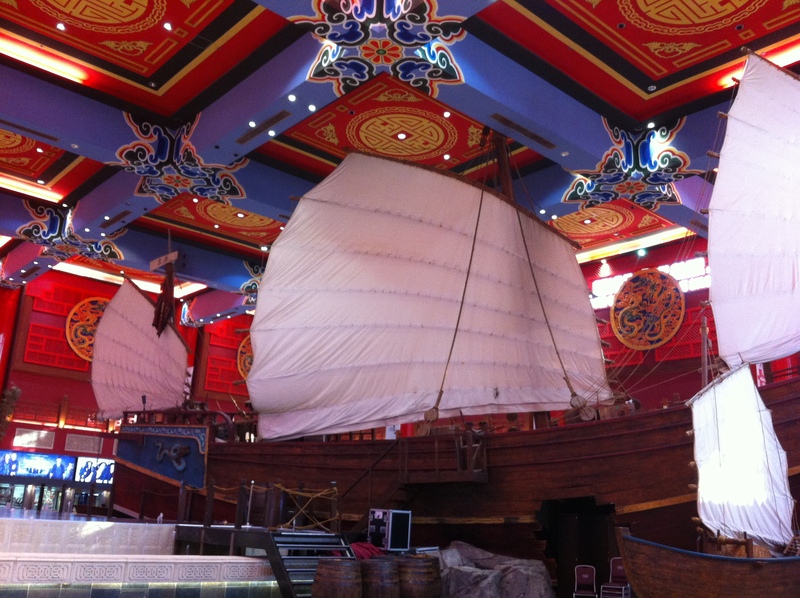 Ibn Battuta Mall – This is the largest themed mall in the world. It has been designed to celebrate the travels of the Arabic explorer – Ibn Battuta who over a period of thirty years visited many parts of Africa, Europe, Middle East, Asia, Central Asia, Southeast Asia and China. He is also considered to be one of the greatest travellers of all times. 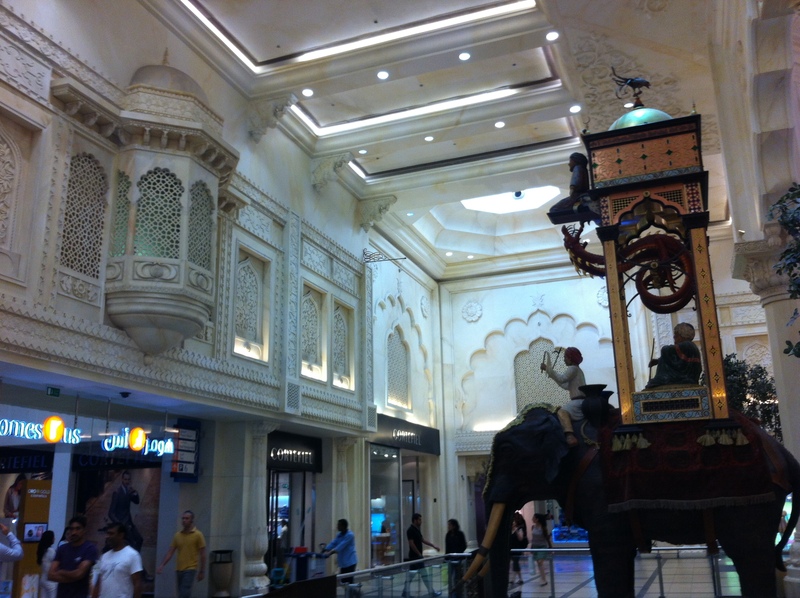 In this mall there is one court for each region that Ibn Battua visited and it has in all 6 courts – India, China, Tunisia, Egypt, Persia and Andalusia. They have recreated shops within the architecture of these countries and also included numerous exhibits from these countries. There is a large elephant from India here too :). Though shopping here is much cheaper (as it has numerous cheaper brands and some ongoing sales in the others) we didn’t shop here much. We just walked around and saw the whole mall and clicked numerous pictures that we just kept on uploading on FB along with the country names :). It was like being in 7 countries at the same time. There is also an option of taking a buggy around but we loved our walk. 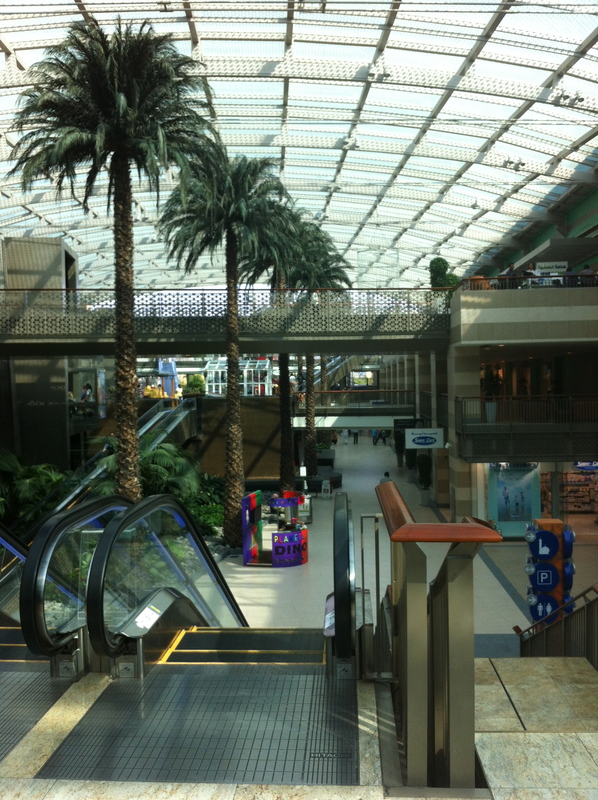 How to reach: This mall is nearly at the end of the city, hence it is preferable to take a metro to the Ibn Battuta station. The mall is just opposite to the station and all you need is to cross the roads. 3. 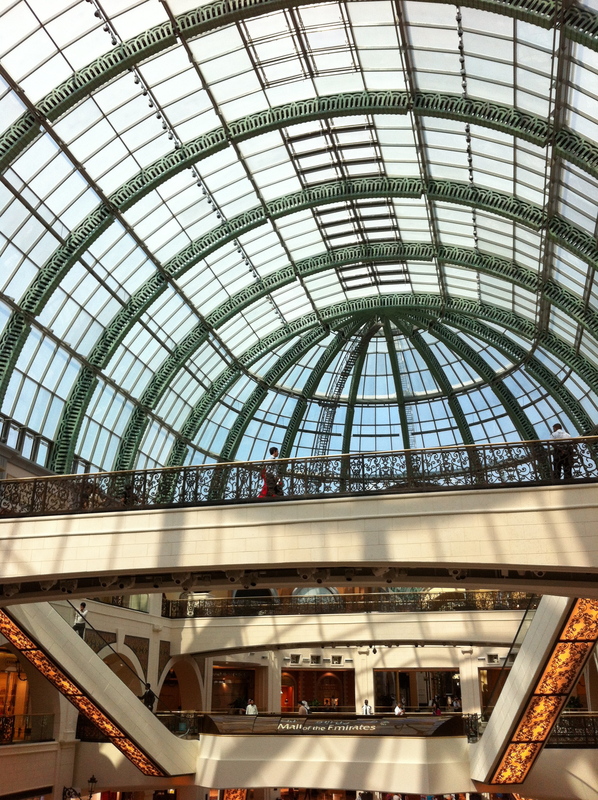 Mall of Emirates – Before the Dubai Mall was built, the Mall of Emirates was the second largest mall in Dubai. In terms of shopping it has all the brands, but I somehow didn’t understand the layout till the end. 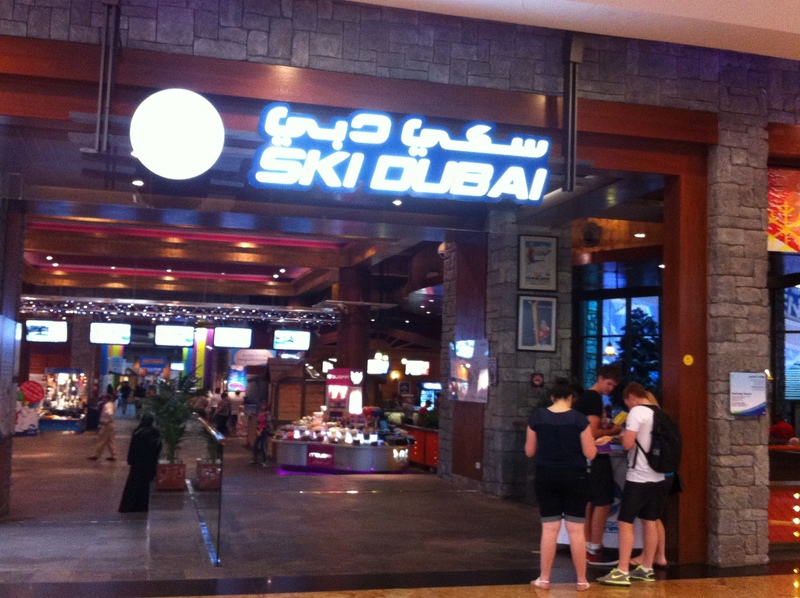 Anyways, more than the actual shopping, the thing to see here is – Ski Dubai. Yes that’s correct, there is an indoor ski resort (in a desert) inside a mall here where you can actually ski, snowboard, toboggan, play with the penguins or just play in the snow. All you need to do is buy a pass according to what you want to do (there are numerous options available), collect the gear and clothes (its included in the ticket) and enjoy. After skiing (and they provide lessons too) along the various runs available you can actually laze at the St. Moritz Cafe or the Avalanche Cafe. 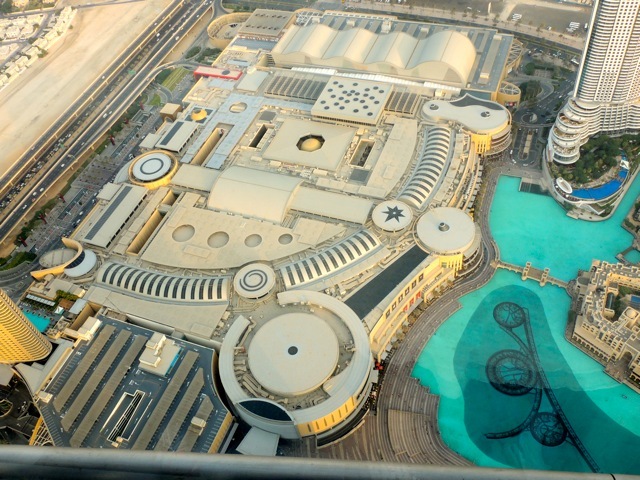 How to reach : You can take a metro to the Mall of Emirates station and then walk in the skywalk to directly reach the mall. 4. 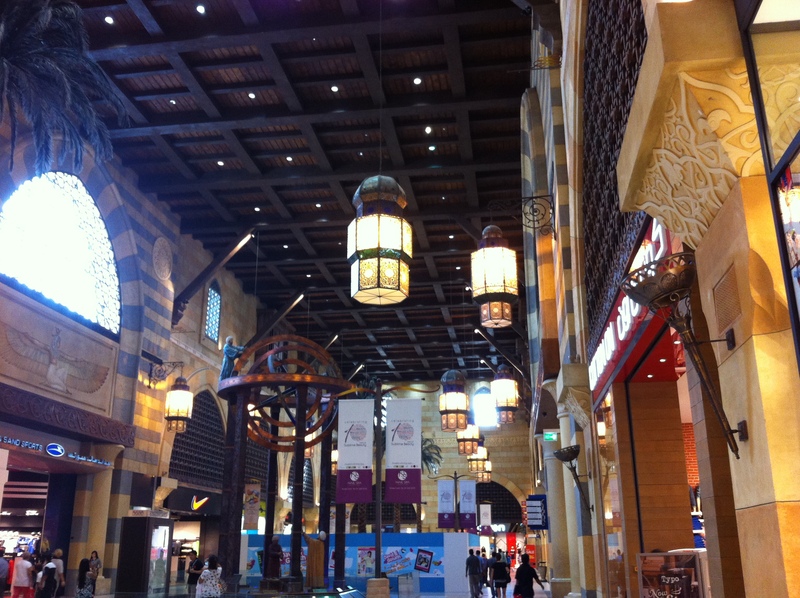 Diera City Centre – Diera City Centre is one of the oldest malls here and used to be the largest mall in Dubai before the other newer malls were built. 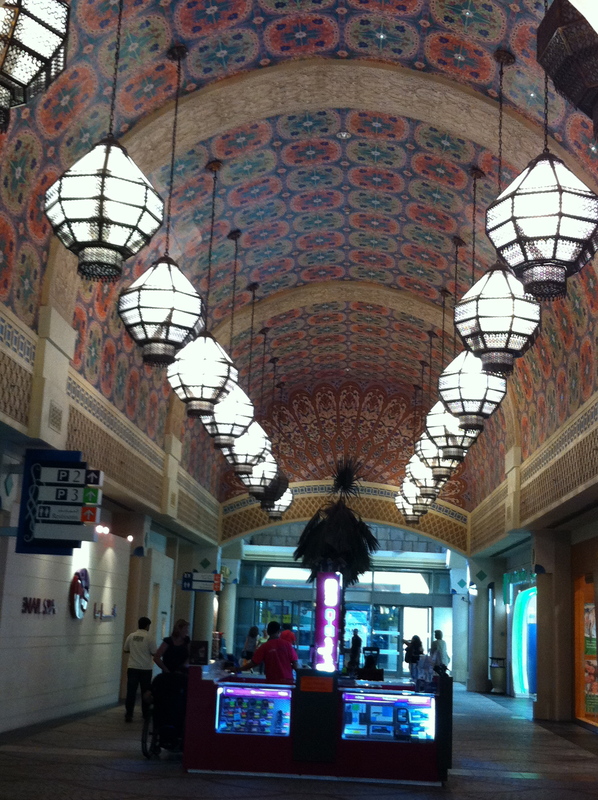 It is still a mall that you see a lot of locals shop in (we hardly saw any tourists here). We found all the big brands here and also some good deals in many of them. There are also numerous electronic stores here and there were some fabulous deals on them. 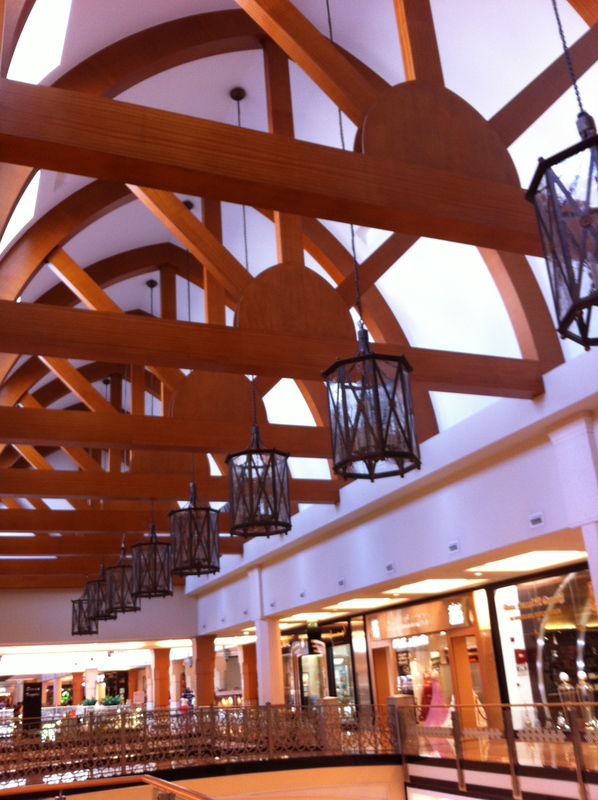 This mall is huge but gives you a sense of being practical and no-nonsense. You can find everything you want and its very easy to find your way in too. How to reach : You can reach here by taking a metro to the Diera City Centre station or by taking a cab. 5. 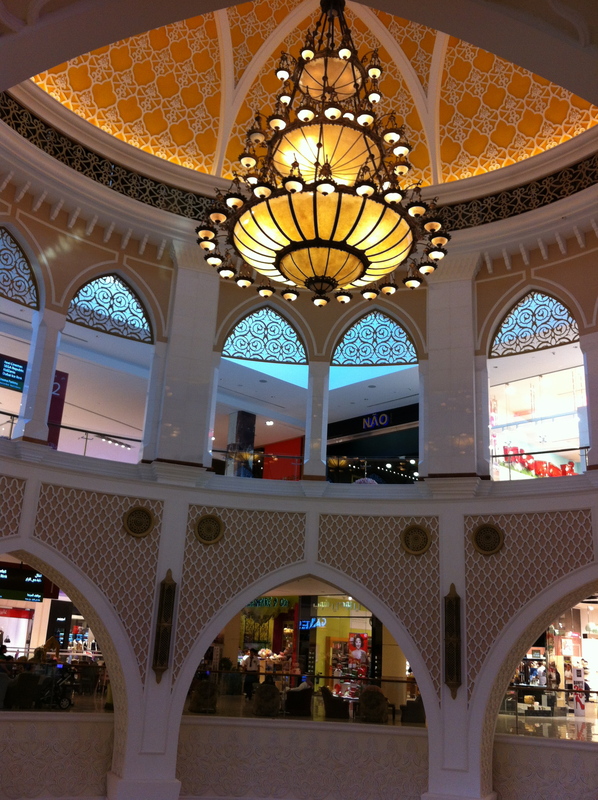 Dubai Festival City Mall – I know by now you must had had enough of malls but this is one last mall that I feel you should visit. This is a much smaller mall than the other malls but it is the only mall which has a huge IKEA store and some other smaller stores which are not present in the bigger malls. 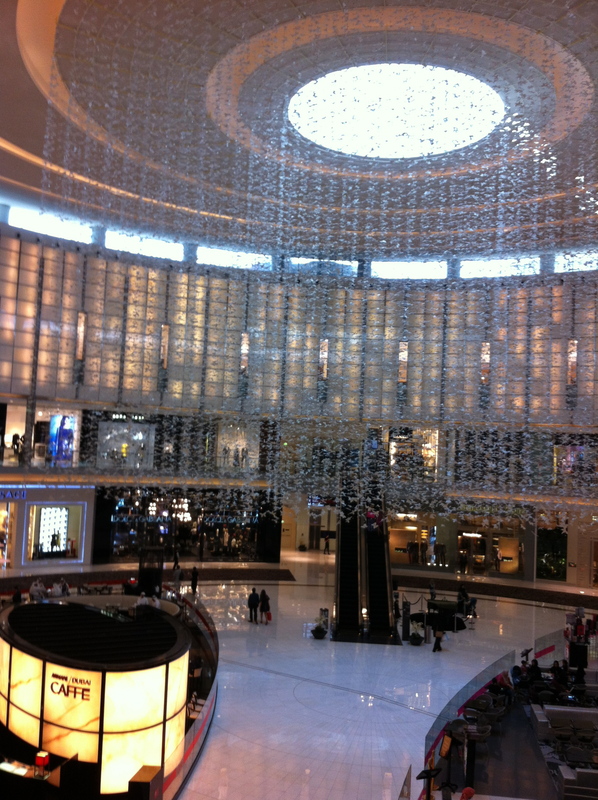 How to reach : Is best to take a direct taxi to reach this mall. Dubai really knows how to create is headline, this city is recognized by the really high buildings and also for its virtues, so if you find yourself with 24 hours in the city, you’ll have no shortage of things to do and what to see. For the ones that really appreciate art this city has created over the last six years, the Art Dubai. The leading international art fair in the MENASA (Middle East/North Africa/South Asia), has become a cornerstone of the region’s booming contemporary art community. Art Dubai is part of Art Week as well as Design Days Dubai and also Sikka, this week always happen in March. Founded by noted interior architect, Wajih Nakkash, in 1983 the Nakkash Gallery is a haven for iconic and limited-edition pieces sourced from all corners of the world. Whether it is African ethnic pieces or stunning contemporary decor, the showroom has become synonymous with originality, effortless style and elegance. It has established a superior reputation and earned the confidence of clients seeking an adventure when it comes to design. The gallery’s vision then and now is to bring to Dubai artists of international repute and to support them in their exploration and interpretation of the Middle East into visual forms. Founded in 2012, Dubai based J+A Gallery has been established to promote design objects from the early 20th century. For the first time in the region, the gallery presents a selection of rare industrial and mid-century design objects and salvaged goods from Germany and Central Europe. The gallery strives to open the market and the minds of people for the beauty of industrial design, for classic materials with an enormous haptic value like wood, ceramic, and steel. Beyond that, the gallery provides solutions to re-use material and forms transferring objects from their original in a new context with added value for today. The Mojo Gallery forms the focal point in a multifunctional artspace that brings together several creative forms, Art, design and new media. As a gallery, Mojo focuses on exhibitions that explore contemporary expressions and concepts in fine art and design through multiple mediums and formats that encompass more than classical genres. When it comes to exclusivity, Dubai has an amazing offer when it comes to nightlife spaces to enjoy a great cocktail surrounded by incredible views and dance all night long. This is the place for all Roberto Cavalli fans. Here you can live and breathe Cavalli like nowhere else! 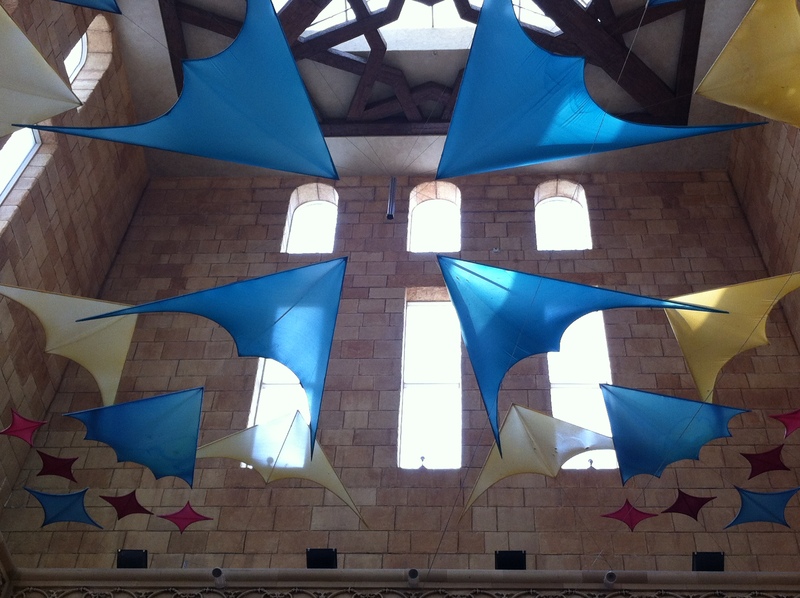 The venue’s interior design is nothing short of luxurious. Chairs are decked out in the Italian designer’s signature animal print, as are parts of the waiter’s uniforms, and Swarovski crystals line everything, from the walls to the drooping chandeliers overhead. The bar is where Dubai’s fabulous people come to be fabulous as they sip at cocktails mixed from premium spirits and exotic fruits. Needless to say, the crowd is dressed to the nines, and eager to drop large amounts of cash. Boudoir is the place to go if you want to be surrounded by beautiful people and want to party like celebrities, which some of them are! 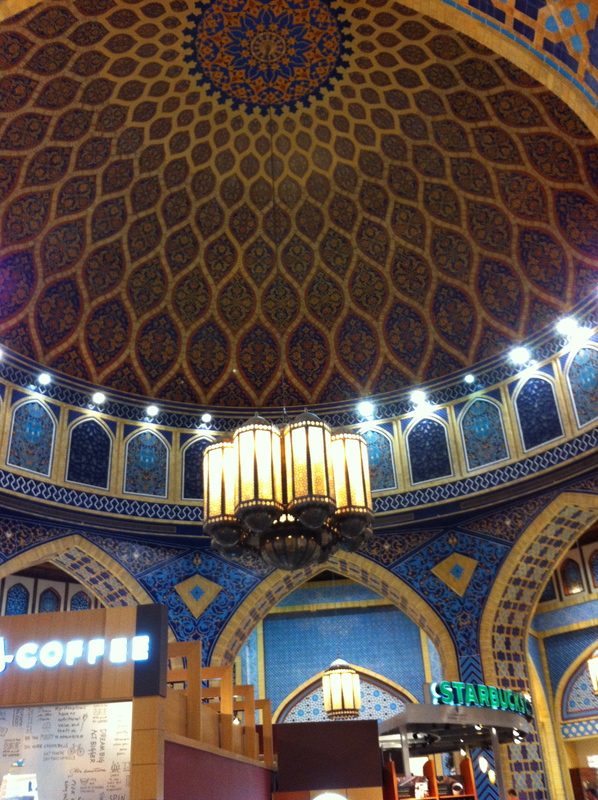 Nothing is understated or subtle about it, but then neither is Dubai! The bar can easily have 400 people in one night, but that doesn’t make it less exclusive. Boudoir has set itself apart from the rest of Dubai’s club scene, creating a uniquely extravagant atmosphere that has proved popular with the celebrity set and the city’s elite – Leonardo Di Caprio and Naomi Campbell are just some of the A List names who have graced the bar. This is one of the most exclusive venues in the city and if you want to get past that velvet rope then you’ll need to be seriously dressed to impress. Cirque Le Soir merges live performance and the best of contemporary, edgy circus with a night club vibe, creating a night which is certain to impress even the most jaded of partygoers. Cirque Le Soir Dubai has been attracting celebrities and socialites through its secret entrance ever since. It has quickly become home to A-list celebrities like Lady Gaga, Usher, Scarlett Johansson and more. The daring entertainment house offers a new insight into the world’s club scene. Cirque Le Soir’s incredible circus atmosphere makes it incomparable to any other night club experience. A venue with a great view. Located in Burj Al Arab -Dubai’s most famous and extravagant hotel – Sky View rises 200 feet above sea level. The space is romantic and intimate, making it great for pre-and post-dinner drinks. The space inside Skyview has been designed for intimate conversations, and a rotating line-up of live music – both local and international – ensures the sights and sounds are as impressive as the beverages they shake up. Here, creating cocktails really is an art form. Bar 44 has spectacular views over Dubai and the Jumeirah Palm and a stunning range of champagnes and cocktails. On the top floor of the Grosvenor House Tower One, Bar 44 is where the chic crowd heads when the sun goes down. An almost circular bar with na amazing range of cocktails by expert mixologists makes for a great dilema when it comes to choose a favourite. it’s a bar definitely worth hitting to have a drink and to soak up the one of the best views available of this most futuristic of cities as night falls. Art Dubai is part of Art Week, an umbrella initiative that showcases the broad programme of cultural events that now coincide with the fair each March, the most dynamic time in the UAE’s cultural calendar. Special events include Design Days Dubai, the only fair in Asia dedicated to product and furniture design; Sikka, a fair run by Dubai Culture and Arts Authority, dedicated to new work by UAE-based artists; and Galleries Nights, featuring over 40 new exhibitions across Al Quoz and the Dubai International Financial Centre (DIFC); plus other projects, museum shows and major events throughout the Emirates, Qatar and the Gulf. INDEX International Design Exhibition, now in its 25th year, continues to grow and adapt in line with the demands of the region’s architecture and design industries. INDEX 2015 presents 8 dedicated product sectors, along with three new sub-sectors; all of which cover the entire spectrum of products and services required for the design, fit-out, or upgrade of residential, retail, and hospitality spaces. INDEX’s product sectors include furnishings, furniture, kitchen & bathroom, lighting, objets, outdoor living, retail (formerly InRetail), and textiles. Firmly established as the prominent trade fair for the region’s lighting design and technology industry, Light Middle East 2013 presented 252 exhibitors from 25 countries showcasing a huge range of international brands. The new initiative Future Zone drew a lot of interest from the market and Light Insight Arabia Conference brought in some of the finest experts in the field of lighting design who engaged the audience with new ideas and updates. The first ever Light Middle East Awards was a stunning gala ceremony featuring the top players from the region.